Victoria Miro is delighted to announce the publication of Isaac Julien: Looking for Langston, a lavishly illustrated, limited edition book by the internationally acclaimed artist and filmmaker, featuring newly-conceived photographic works, texts by the artist and Pulitzer Prize winning critic Hilton Als, in addition to storyboards from Julien’s seminal 1989 film, Looking for Langston, never before published contemporary Polaroids and rare archival material including storyboards by artist John Hewitt. A limited number of signed copies are available. 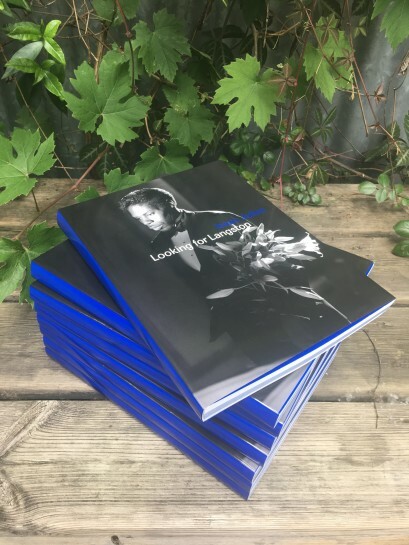 This limited edition artist’s book, designed by Olu Odukoya and published on the occasion of the exhibition Isaac Julien: “I dream a world” Looking for Langston at Victoria Miro (18 May – 29 July 2017), focuses on Isaac Julien’s seminal work Looking for Langston (1989/2017), a lyrical exploration – and recreation – of the private world of poet, social activist, novelist, playwright, and columnist Langston Hughes (1902 – 1967) and his fellow black artists and writers who formed the Harlem Renaissance during the 1920s.